Anna's 60 minute photo shoot had been purchased for her at Christmas using one of my gift vouchers. As with all my gift vouchers, there is no expiry date to them so clients are free to cash them in whenever it's convenient. 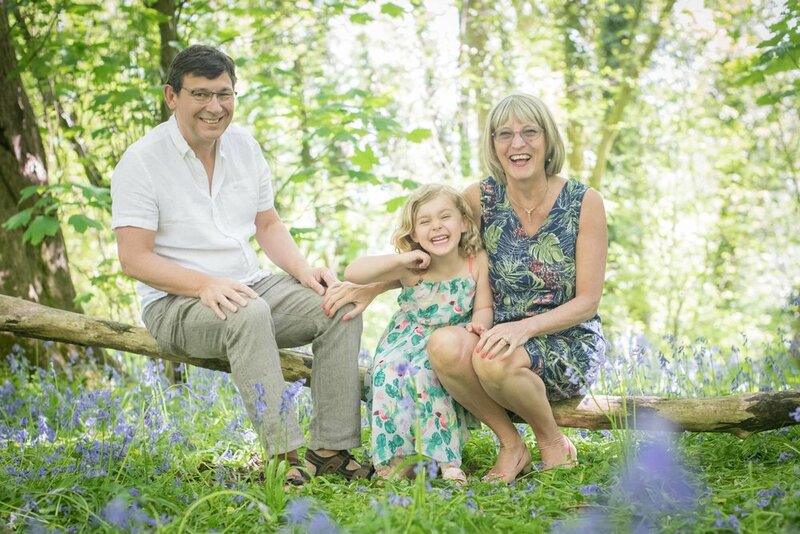 As it happens, Anna and her family got in touch a few months later and I recommended we do the shoot at Lassington Woods - the bluebell display there is magical and the family were keen to avoid the more popular parks of Cheltenham and Gloucester. It was a big group so plenty of opportunities for some, relaxed, unposed pictures of everyone. If you would like to book something similar then please get in touch using my contact page or give me a call on 07983 465414. I'd love to hear from you! Thanks.